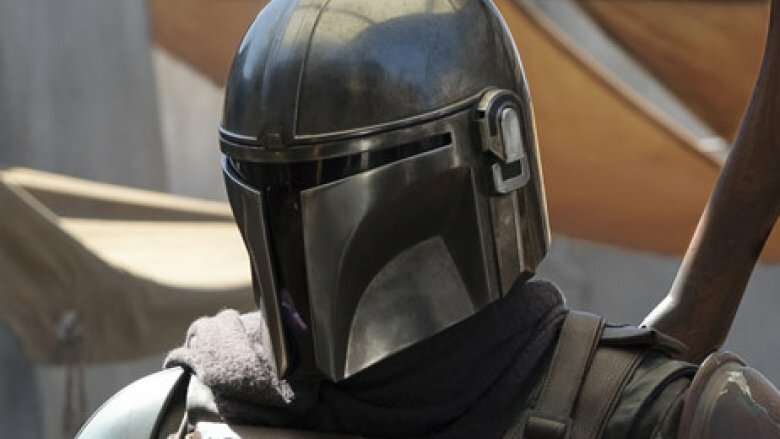 Just a day after Jon Favreau sent shockwaves through the Star Wars fandom when he announced the title of and the synopsis for his upcoming live-action project, we now have the very first photo from The Mandalorian, as well as a dazzling list of directors who will helm episodes of the series. Posted to the official Star Wars website, the photo apparently depicts the "lone gunfighter" mentioned in the show's synopsis, the one the entire series revolves around. The gunslinger seems like your average, everyday, ultra-powerful, Jedi-averse warrior from the planet Mandalore — and looks a whole heck of a lot like beloved bounty hunter Boba Fett, too. (We know that the character isn't Boba, however.) Since their face is completely covered by a helmet and their torso, arms, and thighs are shielded with armor, it's impossible to tell whether the Mandalorian is a male or female, what they look like, or which actor is inside the costume. Of course, this wasn't the only reveal Disney and Lucasfilm made on Thursday night. 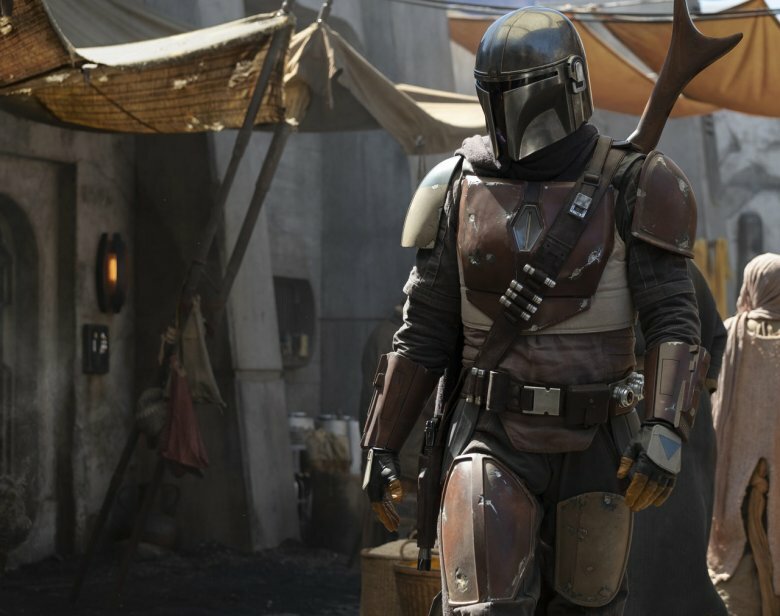 The companies also detailed a host of talent who will join writer and executive producer Favreau to direct episodes of The Mandalorian. Star Wars: The Clone Wars and Star Wars Rebels series director Dave Filoni will helm the premiere episode of The Mandalorian. Canadian filmmaker Deborah Chow, known for her work on shows like Jessica Jones and Iron Fist, is set to direct an installment of her own, as is Dope director Rick Famuyiwa. Thor: Ragnarok filmmaker Taika Waititi is also on board to helm an episode, with Jurassic World and Black Mirror actress Bryce Dallas Howard attached to flex her directing muscles at some point during the series' production. While Filoni is a pretty obvious choice for The Mandalorian considering his long history working in the galaxy far, far, away, his involvement is nonetheless exciting, being that he'll leap from directing animated series to helming a live-action one. As for Waititi, he's bound to do something brilliant with The Mandalorian — let's not forget that his Thor: Ragnarok managed to radically alter the Marvel Cinematic Universe without anyone consciously realizing it. With his keen ability to zero in on the minutiae of a character, Famuyiwa will likely impress and delight with his Mandalorian episode as well. Chow's experience directing shows including Mr. Robot, The Man in the High Castle, Better Call Saul, and more make her a perfect, seasoned fit for The Mandalorian. And though Dallas Howard is best known for what she does in front of the camera, she'll likely shine behind it as well given her strong connect to the Star Wars universe: her dad, Ron Howard, directed this year's Solo: A Star Wars Story. Now that we have a title, a plot synopsis, a first-look photo, and a list of directors, all that's left to do is wait for Disney and Lucasfilm to announce the cast of The Mandalorian and confirm when the series will arrive. Like Disney's yet-unnamed streaming service, The Mandalorian is expected to launch sometime in 2019.